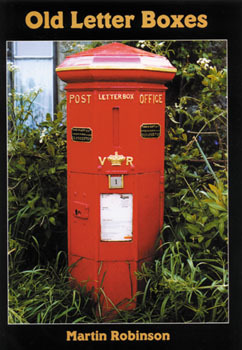 Since they were first introduced in 1852, hundreds of varieties of letter boxes have been produced, such as pillar boxes, wall boxes, lamp boxes...etc. Nowadays, the old red postbox is a familiar sight in city street and country lane alike. This book is all about these sturdy cast-iron boxes, some of which still survive from the 1850's. It features informative chapters on all types of boxes from all over and chronicles their complete evolution. Not only that, but it's chock-full of both color and black and white photos of letter boxes and other non-standard specimens. For anyone interested in these fascinating antiques, or the Post Office in general, this book will be a great one to check out.